The most successful sailor in Olympic history Sir Ben Ainslie donned yellow wellington boots in support of the Royal National Lifeboat Institution (RNLI) charity’s new fundraising campaign, Mayday. 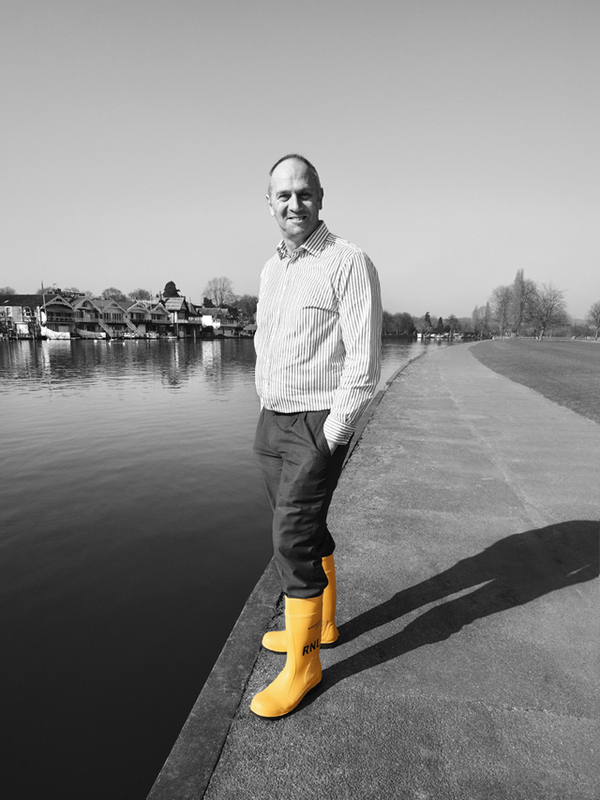 Five-time Olympic rowing gold medallist Sir Steve Redgrave also put his best yellow-welly-clad foot forward to back the national initiative, which runs from 1 to 4 May. The brightly-coloured boots are a nod to the yellow wellies – an essential piece of kit – worn by the charity’s volunteer lifeboat crew members. Following his trophy presentations to the victorious crews for the 2015 BNY Mellon Boat Race and Newton Women’s Boat Race, Sir Steve Redgrave turns his attention to safety on the water this May Day. Sir Steve said: ‘The RNLI provides us with thousands of specially-trained volunteers who crew the lifeboats around our coasts to save anyone who finds themselves in danger at sea. Amid the excitement of preparing for the America’s Cup World Series, which kicks off this summer, Sir Ben Ainslie remains committed to supporting the RNLI and safety on the water. He said: ‘I love being on the water but I know how quickly the sea can catch you out. I’m full of admiration for the RNLI’s volunteer lifeboat crews, who provide such an important service around our coastline, putting their own lives at risk to save others – regardless of weather conditions, or time of day or night. Sir Ben, has long been a supporter of the RNLI, and has experienced its life-saving work first-hand after being rescued from a boat whilst sailing with fellow Olympic-gold medallist sailor Iain Percy. Also on board and supporting RNLI’s Mayday campaign are entrepreneur and Virgin Founder Sir Richard Branson, TV and radio presenter Dermot O’Leary, radio presenters Lisa Snowdon and Dave Berry, and TV presenter and author Fern Britton – all of whom have had their photos taken in yellow wellies, to show their support for the charity. 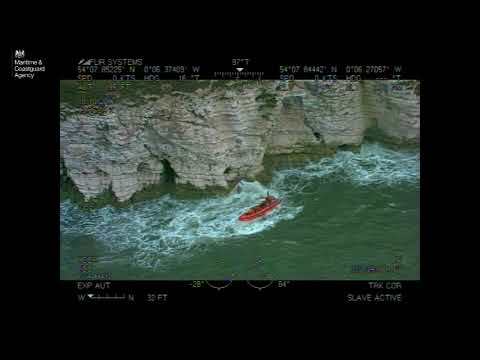 RNLI volunteers have responded to the Mayday calls of those in distress for more than 190 years. In 2014 alone, the charity’s lifeboat crews launched the lifeboats 8,462 times, rescuing 8,727 people. That’s an average of 24 people every day. This May Day, the RNLI is issuing its own call for help, appealing for the public to support its national fundraising campaign. All the money raised will help the RNLI’s volunteers to continue to save lives at sea. 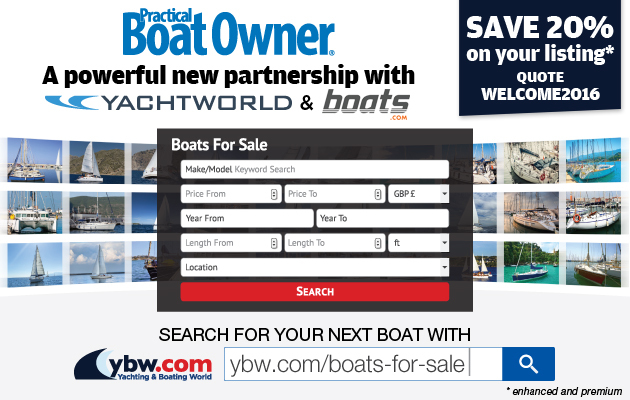 Funds could go towards training and kitting out the charity’s 4,600 crew members and maintaining the charity’s 237 lifeboat stations. Fundraising kicks off with street collections in London on 28 April and, following that, collections and fundraising events are taking place throughout the UK and Ireland across the May Day bank holiday weekend. People are encouraged to show support by making a donation, buying and wearing a yellow welly pin badge and by taking to social media using the hashtag #YellowWelly. To donate, to find out what is going on in your area, and for more ideas on how to get involved, visit RNLI.org/Mayday.